Plentea has built a loyal following for its reusable glass jars, an eco-friendly alternative to boba shops’ typical giant plastic cups. (Get a 10 percent discount on your next order if you bring the bottle back.) 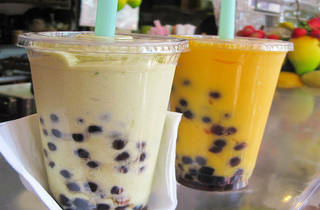 The sweet ice milk teas are popular (Nutella milk tea! ), as are the sea salt creamas. 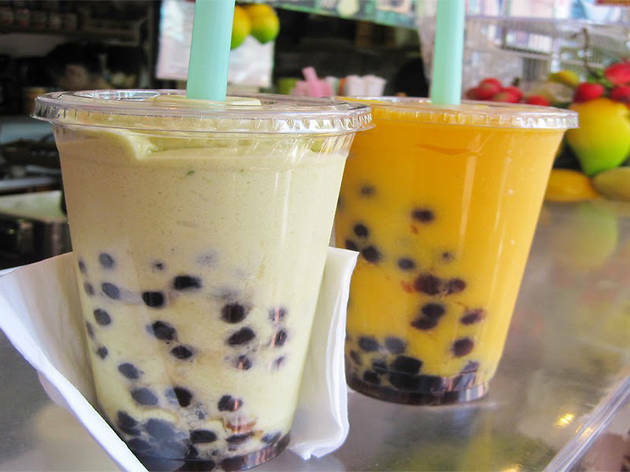 Each can be topped with jelly, pudding, aloe or the house-made honey tapioca. It's not all about the bubble tea here, though: there's a full menu of waffles—and waffle sandwiches—as well.